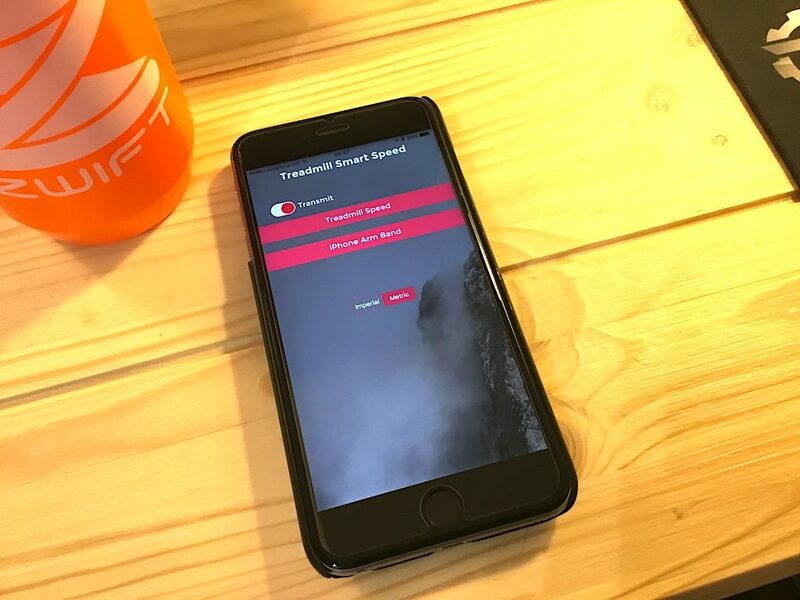 Whichever method you choose, the Bluetooth speed data is then available for use on ANOTHER device that has Zwift loaded. 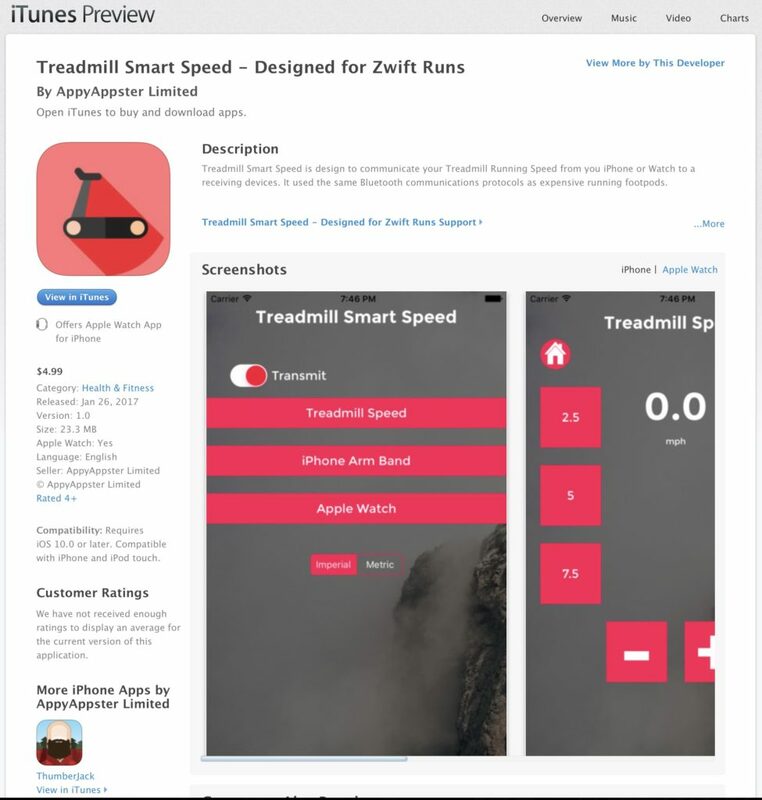 Unfortunately, you can’t use Treadmill Smart Speed at the same time as Zwift on your phone. 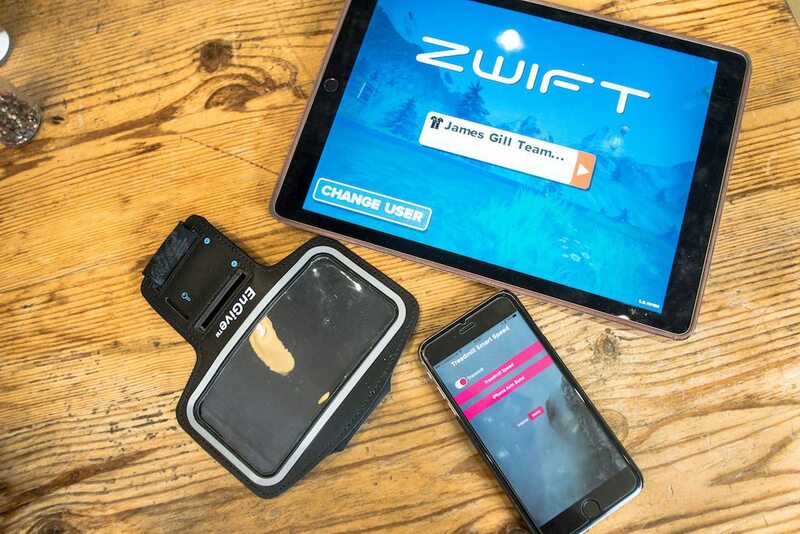 You’ll need to be using another iOS device with Zwift on it. However it is worth while pointing out the TSS can also send to another device, e.g. a bluetooth smart watch at the same time, to allow you to record a second data feed. 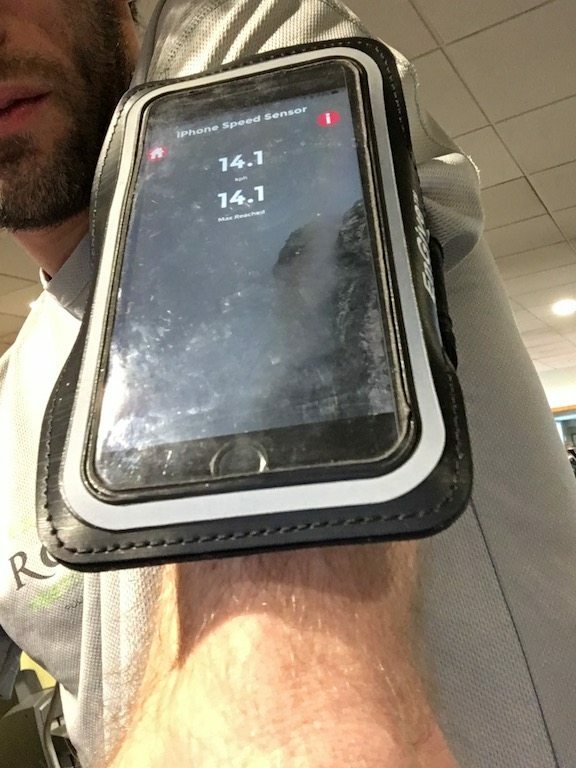 Personally, I prefer using Treadmill Smart Speed with my phone in an arm strap holder, and broadcasting out my live pace, as it allows me to manually adjust things on the treadmill if I’m feeling particularly masochistic on the inclines. 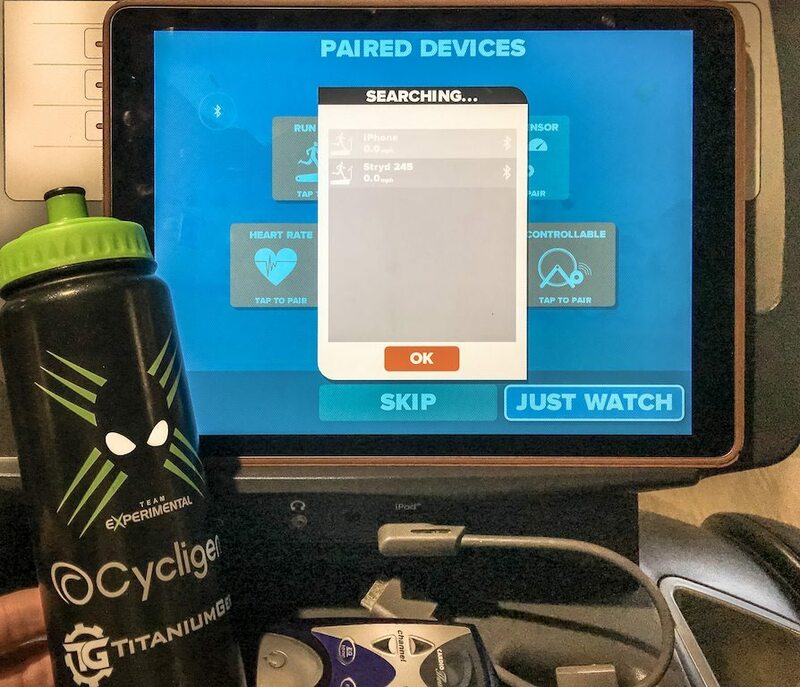 The app, of course, does not know what incline the treadmill is set at, but by using the live pace function, when I do increase the angle, my resulting reduction in speed is communicated to Zwift, and my avatar also slows. 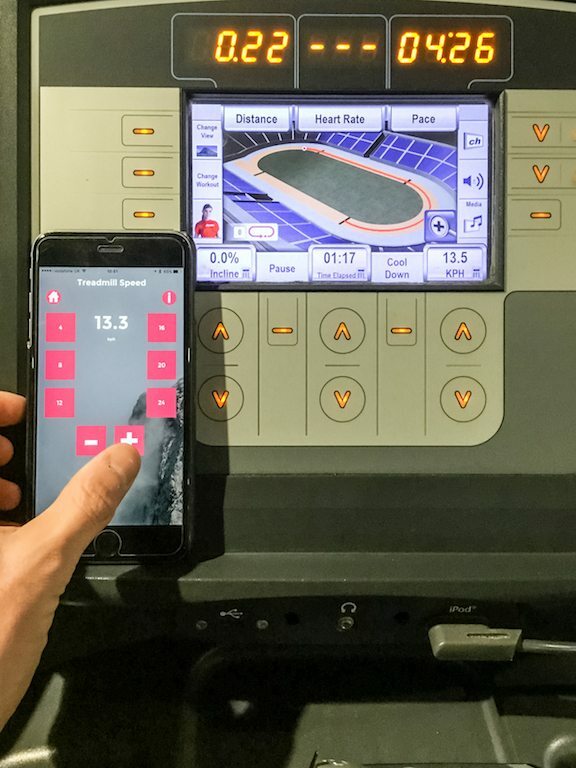 I do feel that this live pace is more important than the ability to just set the treadmill pace in the app, as it does look a little daft when a runner is overtaking a cyclist going up a 7% incline!! 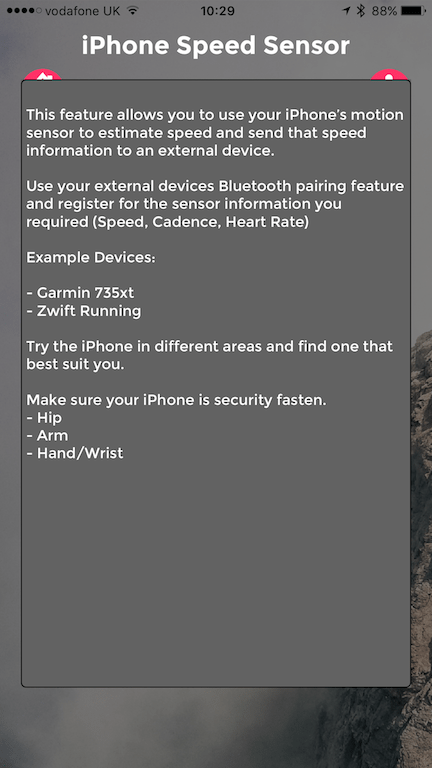 There is also an Apple Watch app with TSS – which after John had gone over the calibration as instructions given to him by Apple, and appears to be showing reliable data when looking at other sources of pace monitoring. But let’s just put that into perspective. 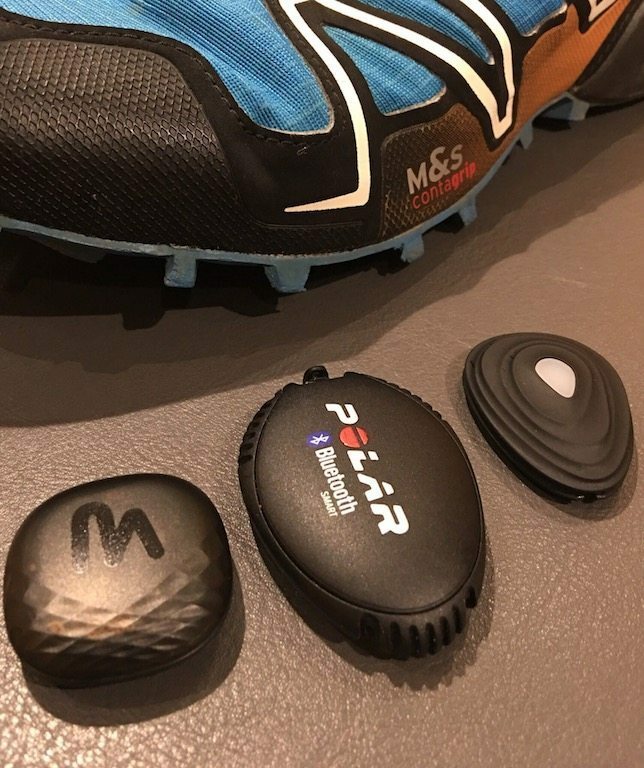 A Stryd foot pod costs £160, Polar is £45, a TICKR is £75… whereas the #TSS costs £4.99 from iTunes. 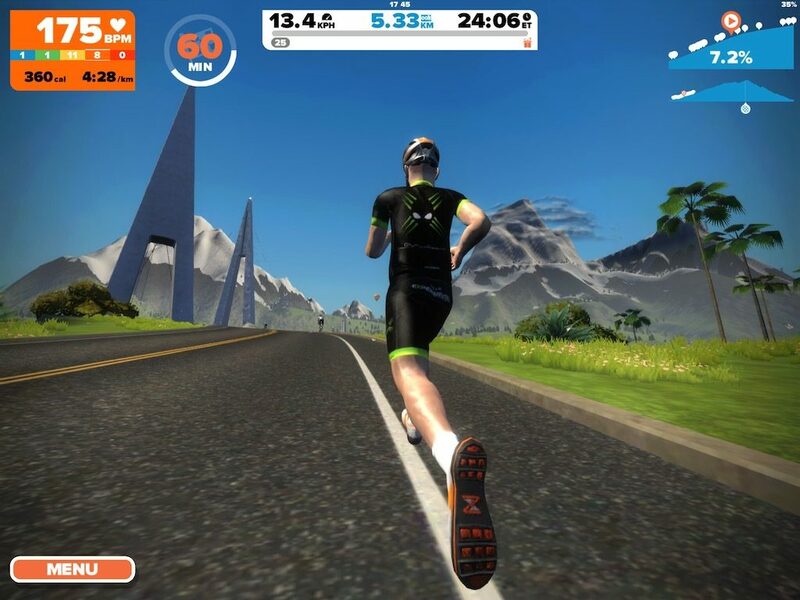 Which at that price, again given that most people just run on a treadmill at a set pace, is probably going to be the lowest entry fee in Zwift Running for quiet a while!